DeatschWerks 96-99 Nissan I30 VQ30 / RB25DET / Maxima VQ30de / 300zx 550cc Side Feed Injectors. All Deatschwerks high flow fuel injectors are built using only quality OEM cores. In addition, each set is balanced to within a 2% flow variation. This item pulled out from 1984 Nissan Datsun 300zx. 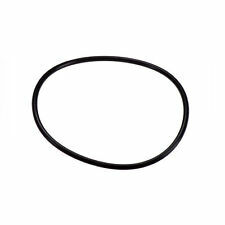 This item is compatible with1984-1988 Nissan Datsun 300zx 3.0L. Used parts may show sign of wear, including marks and/or scratches. DONOR VEHICLE :1990 NISSAN 300ZX (2 2) NON-TURBO. IDLE VALVE. QUALITY: OEM. Our warranty is forPARTS ONLY. 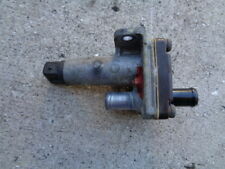 This is a idle air regulator valve removed from a 91 nissan 300zx non turbo. Part # is 22660 30P10. a pretty image. Honda Parts Unlimited. Chassis: Nissan 300ZX Z32. - Any VG30DE(TT) from 1990-1995 Z32. - Designed for a factory-like installation and fit and finish for the 300ZX Z32. - Any Nissan 300ZX manufactured from 1990 - 1995. - Quick-Disconnect injector harness for ease of installation and injector conversions. 92 Nissan 300zx 2 2 T-top with automatic transmission. To be without dream is to be without hope. Do not run through your life so fast that you forget not only where you have been, but also where you are. VERY IMPORTANT Indiana location if our CA location is not available. 300ZX 1984-1987 GL, GLL, SF 6 Cyl 3.0L VG30. Part/Notes: VACUUM CANISTER PUMP. -Life is life and issues arise; people make mistakes. Nissan 300ZX 3.0L (VG30 & VG30T) GL, GLL, SF & SS model 1984 - 1989. Nissan 300ZX 3.0L 6 cylinder (GL, GLi, SF, & SS) VG30 & VG30T engines 1985 - 1989. This fits German, Italian, French, Swedish, and Asian Foreign Auto Parts at Wholesale prices. This will expedite credit to your account, if applicable. Aplug and play Z32 MAFS adapter for your RB engine. Z32 MAFS sensor. RB25DET S1. RB20DE/RB20DET (late model, non NEO). The Injen IS Series Air Intake System for the Non-Turbo '90-'96 Nissan 300ZX Base model equipped with the VG30DE DOHC 3.0L engine is a traditional, underhood intake system. Each system is built from 6061, T-6 aluminum alloy to ensure the lightest design possible. Used 1985 Nissan 300ZX Fuel Door - Red in good condition for its age. This door has surface scratches which are hard to see in the picture. The part in the pictures is the part you will receive. It was removed from a 91 300ZX. It is in good working condition. -We provide information that can only be used as. that the part was removed from. picture, factory part number (if provided) and the make/model/year of the car. Nissan 300zx 1983-1985 07.83 - 09.85. Nissan part number 17523-V5020. Be sure the part you are buying is correct for your application. All our parts are (NEW OTHER) unless otherwise specified. They may have been in storage anywhere from 1-30 years. Applications: VG30DE. Nissan 4-pin Nissan CAS Connector. Connector is available as. Genuine OEM Nissan 300zx LH Intake Duct Pipe - Turbo Inlet Pipe - Z32 Twin Turbo. Why is this part so special?. This pipe fits under the LH Passenger headlight, connecting the intake, turbo inlet, and turbo recirculation system all together. FAIRLADY Z32 300ZX. NISSAN GENUINE. 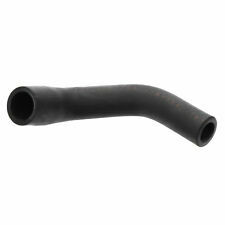 Genuine OEM Nissan 300zx RH Intake Duct Pipe - Turbo Inlet Pipe - Z32 Twin Turbo. Why is this part so special?. This pipe fits under the RH Driver headlight, connecting the intake, turbo inlet, and turbo recirculation system all together. AN 8 Nylon Braided Stainless Steel Hose. Nylon Stainless Steel Braided Hose. Exterior braided with nylon for long lasting. Material Nylon, Stainless Steel. 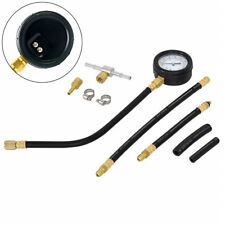 Application Universal, Oil and Fuel Line. If you need "5" feet, type "5" for the quantity . FOR WALBRO F90000267, F90000262, F90000274 PUMP. Fits the Walbro F90000267 /262 /274 Pump (pump not included) WALBRO PART # 125-190 STRAINER/ SCREEN/ PRE-FILTER. Walbro 125-190 fuel pump strainer. New DeatschWerks 01J-00-0550-6 550cc top feed injector set of 6 for Nissan. AN 10 Nylon Braided Stainless Steel Hose. Nylon Stainless Steel Braided Hose. Exterior braided with nylon for long lasting. Material Nylon, Stainless Steel. Application Universal, Oil and Fuel Line. If you need 5 feet, put 5 for the quantity. 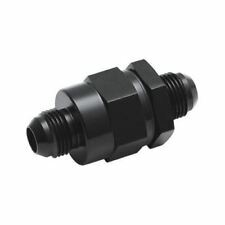 Adapter has Two 1/8"NPT Holes and 1/8"NPT Plug. 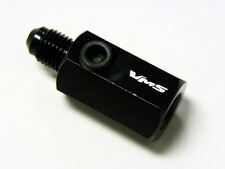 Adapter is Made of Billet Aluminum and Hard Anodized in Black for a Long Lasting Finish. Makes Installa tion of aNitrous Bottle Gauge a Bre eze. NOTE : PICTURES SHOWN WITH GAUGE ARE FOR ILLUSTRATION PURPOSES ONLY - GAUGE IS NOT INCLUDED ! Made of Hi gh Quality T-6061 Lightweight Aluminum And Hard anodized in. Male to 16. Black for a Long Lasting Finish. 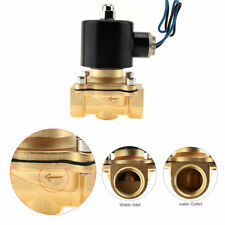 These Fittings are Design ed for Leak Proof Sealing. NOTE: This is NOT a complete air intake, this is an air duct kit. Dense air is your engine's best friend. Keep your intake air temperatures down with this flexible intake tubing. Hose is 100cm long when fully extended. Any VG30 from 1990-1995 Z32 300ZX. The Wiring Specialties PRO Series VG30DE(TT) KNOCK sensor Sub-Harness. Engine: NissanZ32 VG30DE(TT). Knock Sensor Harness Features - OEM wiring connections and 'T' junctions. Applications: VG30DETT coil connector. Connector is available as Housing - Only plastic housing.